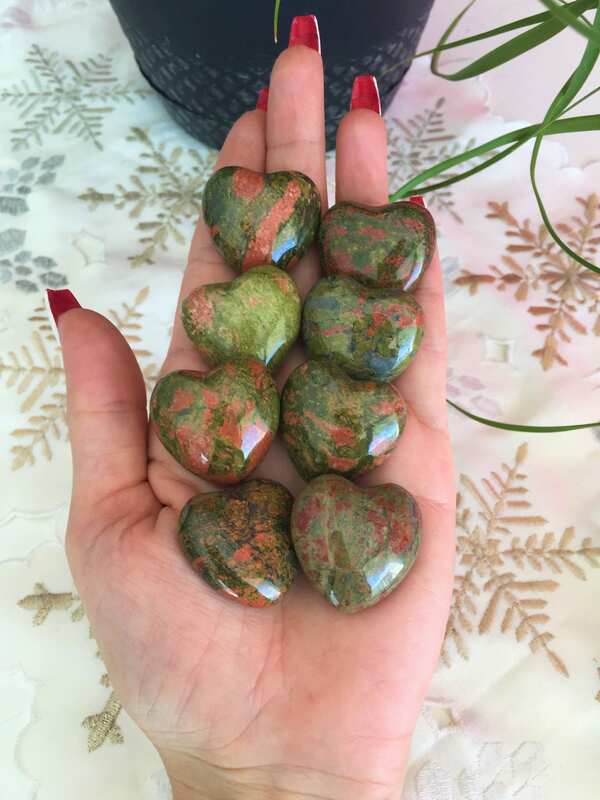 Wholesale Crystal Hearts! 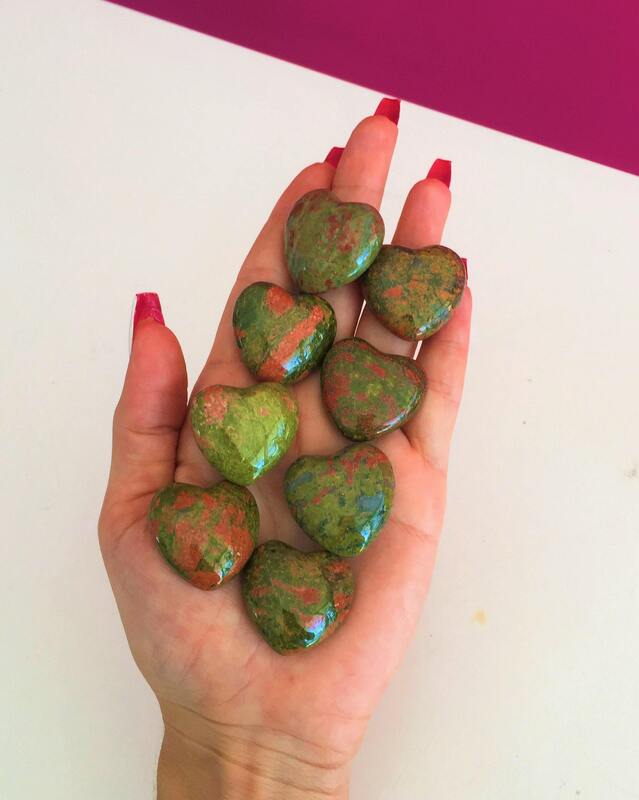 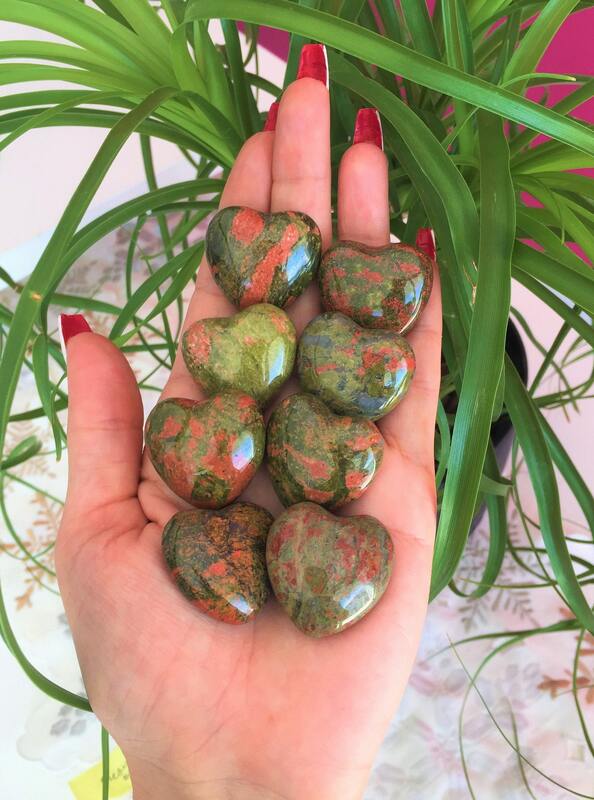 Receive 10 unakite gemtone carved hearts as seen in the pictures. 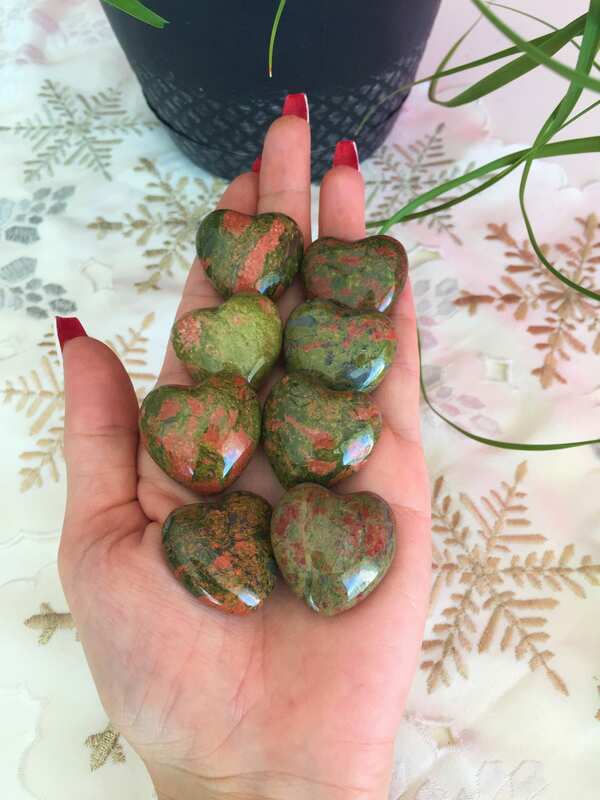 SIZE 1 X 1 inches.